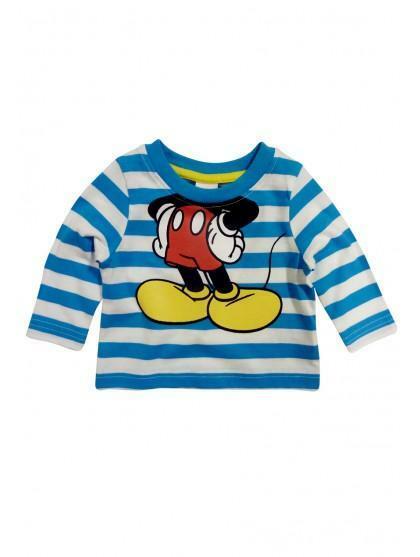 Is your little one a Mickey Mouse fan? Well this disney themed top is perfect for them! 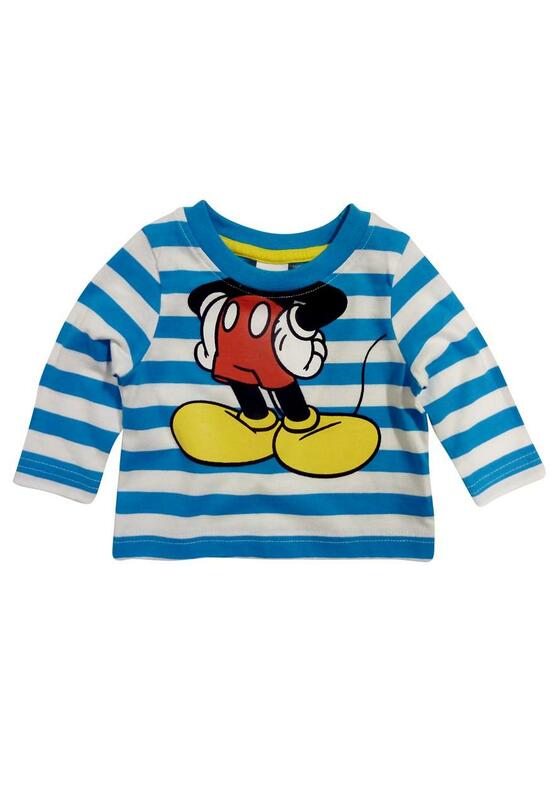 A baby blue striped tee with mickey mouse body print, so your little one can be the star of his very own cartoon themed outfit.